The only FDA approved, non-invasive procedure without surgery and injection to reduce local fat areas of the body. It can be used on abdomen, love handles, inner thighs, outer thighs, upper back and double chin. No down time and no recovery time either. Intense pulse light therapy is a laser treatment to rejuvenate the skin, improve wrinkles, scaring, pigmentation, roscea and spider veins on face and body. Ultrasonic Cavitation or Ultrasound Liposuction is a new, non-surgical fat removal procedure in body slimming for localized fat reduction. Using leading edge technology, it dissolves the underlying fat cells and layers. The body drains the dissolved fat though lymphatic system without any invasive surgery or downtime. It also does the firming and contouring of the skin in any part of the face and body. Endermology is a system to lift any loose skin and wrinkles around the eyes, cheeks, under the chin, neck and all over the body region. Endermology activates the fibroblasts under the epidermis and increases collagen and elastin production by 240%. The body naturally produces collagen and elastin, and gets rid of the lines and wrinkles in face and neck region. Skin stem cell therapy is the most advanced treatment which helps nourish and repair fine and deep wrinkles. It rejuvenate by micro-needling technique to delay the visible signs of aging. 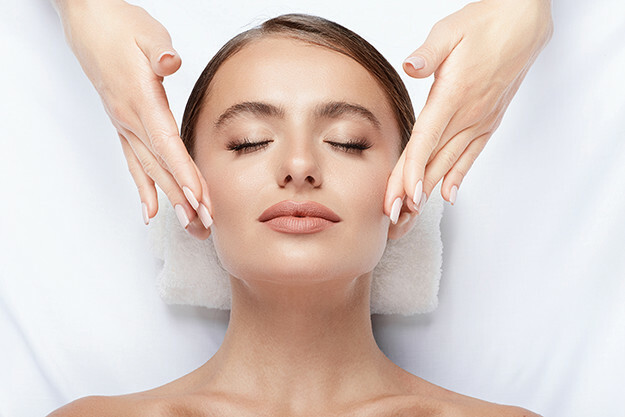 Ultherapy is a non-surgical alternative to facelift surgery using only focused ultrasound energy to tighten and lift loose facial and neck skin without any damage of the skin surface and therefore no downtime. It is a relatively new technology which has been approved by the FDA in the USA. The precisely directed ultrasound waves penetrate only the skin surface and are focused on the level of the collagen and elastin tissue layers deeper in the skin. The thermal effects delivered by this focused energy eventually stimulate the production of new collagen to replace the old and aged collagen. The end-result of this collagen replacement process is a firming, tightening and lifting of the skin. Hydra Beauty Skin Care Facial Machine uses 3 step techniques to cleanse, extract and hydrate. It is so effective with nourishing serums that creates an instantly gratifying glow. It minimizes signs of aging, fine lines, wrinkles, dark spots and sun damage with a patented combination of peptides to restore skin health and vitality. This multi-step treatment cleans, exfoliate and extract to get rid of impurities and dead skin cells while at the same time quenching skin with vital nutrients like antioxidants, peptides and hyaluronic acid.